George IV was on the throne and the Duke of Wellington was Prime Minister when the son of a local maltster, John Jennings, began brewing in his Lorton-based brew house. 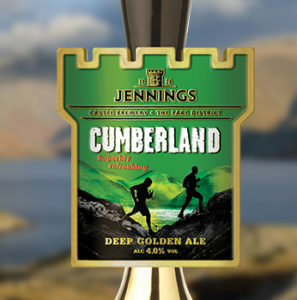 190 years later Jennings Brewery and the Cockermouth brewery is synonymous with the Lake District and Cumbria and is renowned the world over for its premium award-winning ales and warm Lakeland hospitality. Draught beer drinkers will see a limited edition commemorative pump clip for our flagship beer, Cumberland Ale on the bar and there will be commemorative glassware, T-shirts and merchandise available throughout the year.